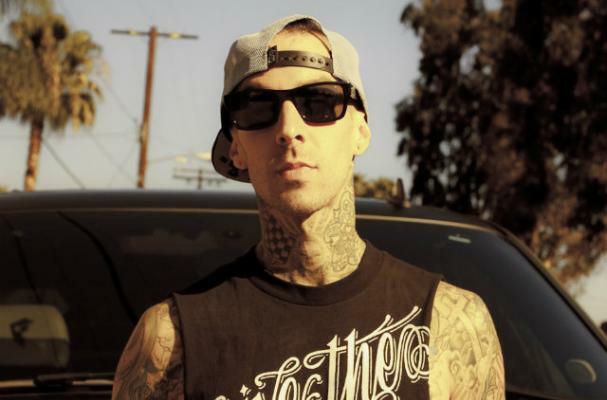 Blink-182 drummer Travis Barker says he follows a vegan diet but will often cheat while on tour to get a little bit more protein in his system. "I'm a vegan so for the most part I stay on that diet as much as I can while I'm out there. I juice a lot, I get as much protein as I can because being vegan there isn't much protein. But that's pretty much it. I just drink lots of water, too. I have a protein shake every morning," Barker told Music Radar. "Once in a while I'll slip and get off my vegan diet and have egg whites in the morning, that's a good source of protein while I'm out on the road. If I can feel my body starting to tire those are good to keep you healthy." Barker admits it was a recent health scare that caused him to change his life. "I went to the doctor and found that I had eight ulcers in my stomach and then I found out that I had a condition from it, from excessive smoking and possibly eating acidic food... I had pre-cancerous cells in my throat -- right there that was a game changer," Barker reveals. "I quit everything immediately. It's made a difference." Barker says his healthy lifestyle also includes a lot of exercise, which consists of cardio and light weights.